Draft: 2012, St. Louis Cardinals, 3rd rd. November 6, 2017 LHP Tim Cooney elected free agency. September 25, 2017 Columbus Clippers activated LHP Tim Cooney from the 7-day disabled list. August 18, 2017 Columbus Clippers sent LHP Tim Cooney on a rehab assignment to AZL Indians. April 6, 2017 Columbus Clippers placed LHP Tim Cooney on the 7-day disabled list. 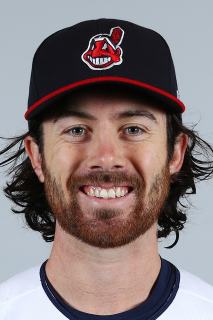 April 2, 2017 Cleveland Indians released LHP Tim Cooney. March 12, 2017 Cleveland Indians optioned LHP Tim Cooney to Columbus Clippers. November 18, 2016 Cleveland Indians claimed Tim Cooney off waivers from St. Louis Cardinals. October 3, 2016 St. Louis Cardinals recalled LHP Tim Cooney from Memphis Redbirds. September 9, 2016 Memphis Redbirds activated LHP Tim Cooney from the 7-day disabled list. April 7, 2016 Memphis Redbirds placed LHP Tim Cooney on the 7-day disabled list. March 27, 2016 St. Louis Cardinals optioned LHP Tim Cooney to Memphis Redbirds. October 14, 2015 Tim Cooney roster status changed by St. Louis Cardinals. October 5, 2015 St. Louis Cardinals recalled LHP Tim Cooney from Memphis Redbirds. September 18, 2015 Memphis Redbirds activated LHP Tim Cooney from the 7-day disabled list. July 25, 2015 St. Louis Cardinals optioned LHP Tim Cooney to Memphis Redbirds. July 5, 2015 St. Louis Cardinals recalled Tim Cooney from Memphis Redbirds. July 3, 2015 St. Louis Cardinals optioned LHP Tim Cooney to Memphis Redbirds. July 2, 2015 St. Louis Cardinals recalled Tim Cooney from Memphis Redbirds. May 1, 2015 St. Louis Cardinals optioned LHP Tim Cooney to Memphis Redbirds. April 30, 2015 St. Louis Cardinals selected the contract of Tim Cooney from Memphis Redbirds. February 4, 2015 St. Louis Cardinals invited non-roster LHP Tim Cooney to spring training. March 28, 2014 LHP Tim Cooney assigned to Memphis Redbirds from Springfield Cardinals. January 21, 2014 St. Louis Cardinals invited non-roster LHP Tim Cooney to spring training. May 13, 2013 LHP Tim Cooney assigned to Springfield Cardinals from Palm Beach Cardinals. April 3, 2013 Tim Cooney assigned to Palm Beach Cardinals from State College Spikes. June 18, 2012 LHP Tim Cooney assigned to Batavia Muckdogs from St. Louis Cardinals. June 9, 2012 St. Louis Cardinals signed LHP Tim Cooney.